The year was 1966 and the world was going crazy over the wham-socko superhero action that had leapt out from the comic books and onto the TV. With the internet yet to be invented, the fans of the day turned to their stationary pads and whipped off letters to the hero and to those who told his story, sending praise, complaints, questions and requests to the TV show and to the comic books. 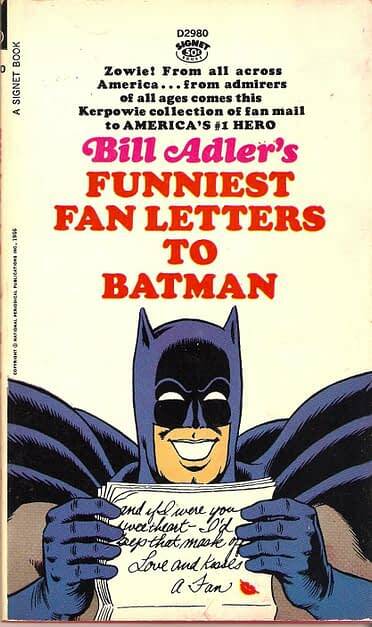 Best-selling book creator Bill Adler sifted through the letters and came up with the funniest, putting them out in a paperback called Letters To Batman. 51 years later, Nat Gertler of About Comics has got the republication rights – but not the rights to license the Batman trademark, now much more expensive and well-defended by Warner Bros. So, instead, he doesn’t mention Batman in the title or the cover, just the term “battiest”. 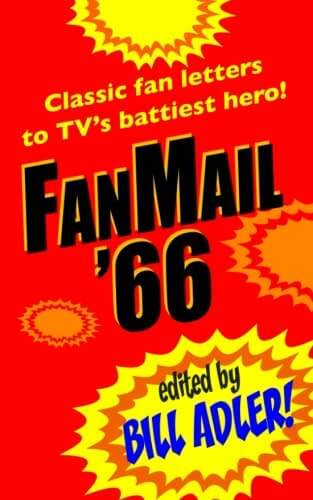 And the book has been renamed FanMail ’66. About Comics has already reprinted his collections of kids’ letters to presidents, Kids’ Letters to President Kennedy and Dear President Johnson. The new volume costs $9.99 new on Amazon. A used copy of the original volume costs around $30. 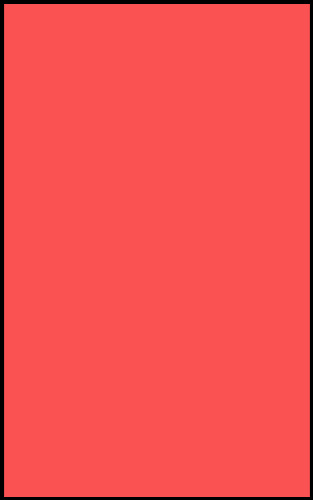 Retailers can order directly from About Comics, here.